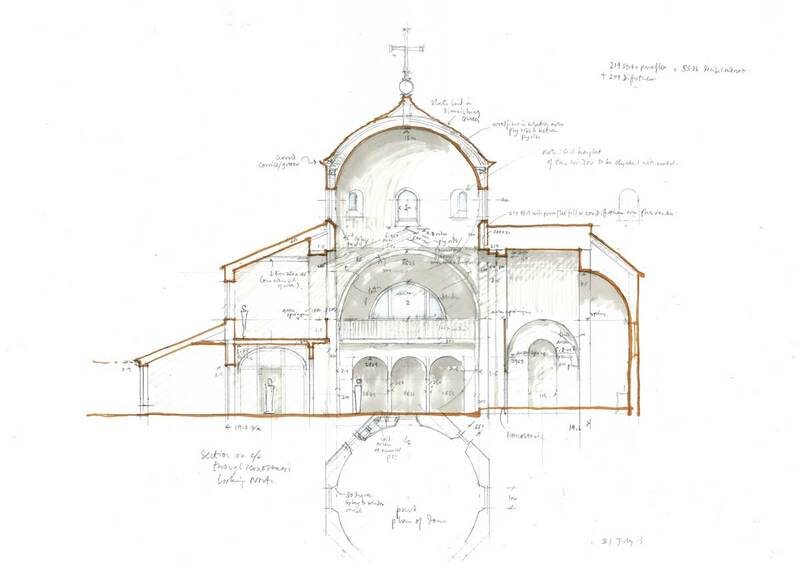 We are working on designs for a new Greek Orthodox Church for a site on the southern edge of Shrewsbury. The Greek Orthodox community have a church nearby which the community has outgrown. Their current church cannot be satisfactorily extended. 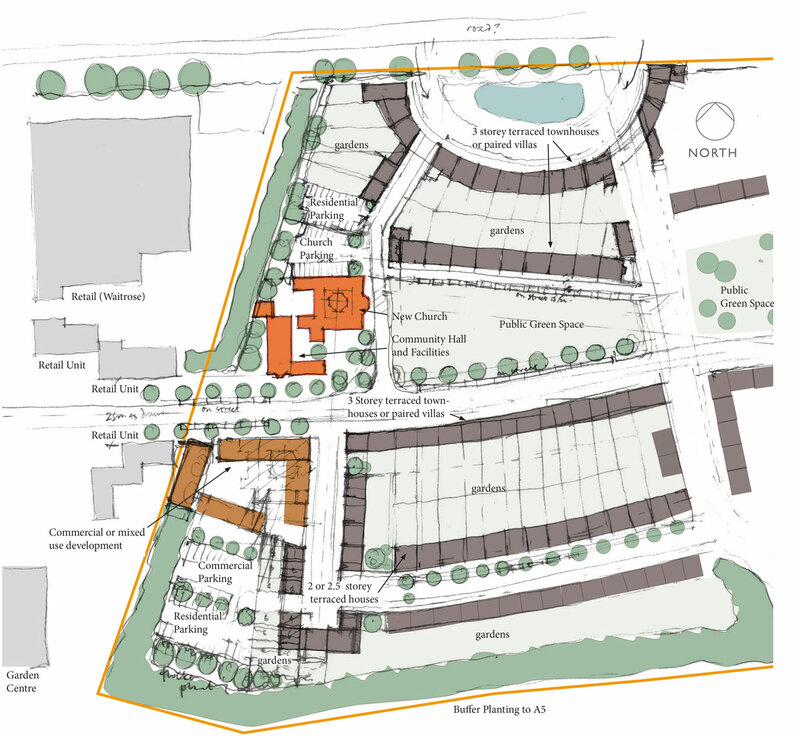 The proposed site is a central location in the adopted masterplan for the Shrewsbury South Sustainable Urban Extension. 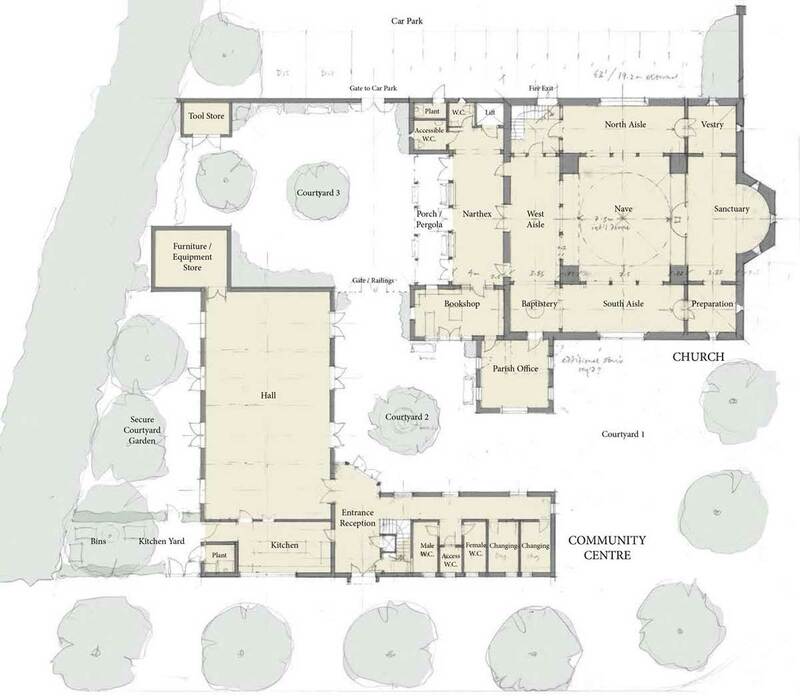 The proposed building group will be focal to a new public space. 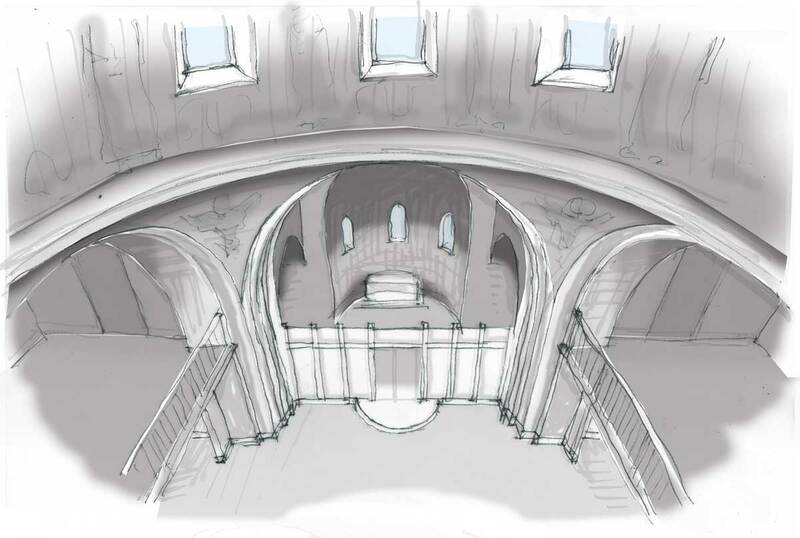 We have proposed a courtyard grouping with a new community hall to be used by the church and the wider community. 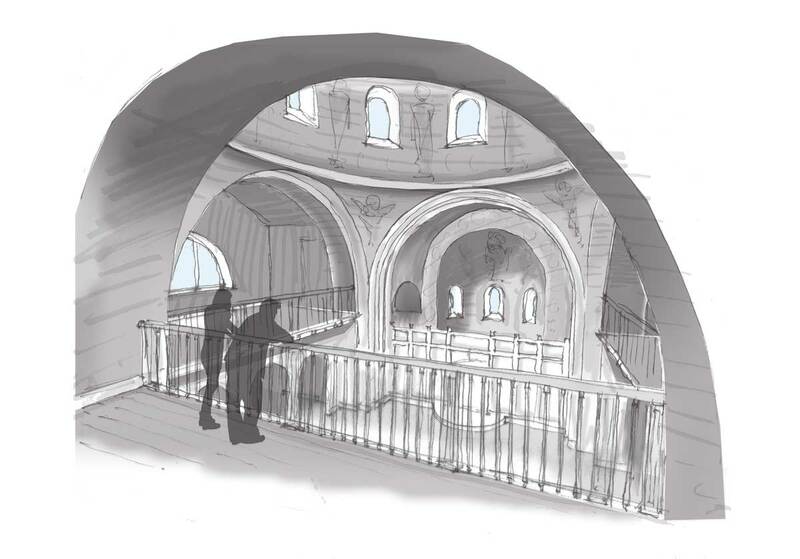 We have also extended the remit of our proposals to include potential amendments for the wider site masterplan.